I’ve been enjoying the columns of the NYT’s newest columnist, their erstwhile restaurant critic Frank Bruni. It was with great disappointment, then, that I found he had joined the “blame both sides” bandwagon in his column last Sunday. it presented a spectacle that — let’s be honest — most of us in the news media don’t really get. Seeking relief from the country’s woes through a louder, more ardent appeal to God strikes us as too much hope invested in too magical a solution. It suspends disbelief and defies rigorous reason. But if we stick with this honesty thing, don’t we also have to admit that to varying degrees and with varying stakes, there’s magical thinking in secular life, and that it springs from a similar yearning for easy, all-encompassing answers? Didn’t the debt-ceiling showdown show us that? That battle was defined largely by the unshakable, grandiose convictions of low-taxes, small-government puritans in the House, for whom Cut, Cap and Balance wasn’t so much a three-pronged wager as a holy trinity, promising salvation. While it’s inarguable that government has a tropism toward waste, and while tax increases should indeed be preceded by an inquiry into other options, the adamancy of the puritans’ position flew in the face of what many economists say, and it brooked no dissent. It felt more like theology than science. Okay, I’m with him so far. But here’s the passage where I lost him. Faith-based is right. We all have our religions, all of which exert a special pull — and draw special fervor — when apprehension runs high and confusion deep, as they do now. 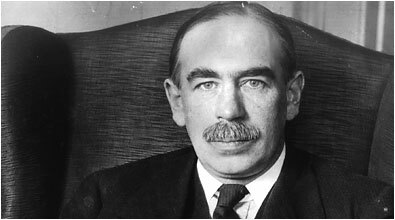 And if yours isn’t a balanced-budget amendment and a government as lean as Christian Bale in one of his extreme-acting roles, it might well be a big fat binge of Keynesian stimulus spending. Liberals think magically, too, becoming so attached to a certain approach that they wind up advocating it less as option than as panacea. Huh? We’re now comparing a belief in Keynesian stimulus spending with the faith-based madness of drastic budget cuts, continuation of Bush tax cuts, and protection of military spending? What if the approach the liberals are attached to just happens to be correct? What if all evidence points to the original stimulus being inadequate, as unemployment remains high and demand low. What if we are repeating the history of the depression despite having the means and the knowledge to avoid it? Yes, sure. But Frank, why are you dismissing one of the extant remedies? What is the point of your seeming even-handedness? A dispassionate evaluation of our progress should lead Obama to the realization that he screwed up in 2009 with his too-small stimulus. The adaptation he needs to make is to fight like hell for a new stimulus package to get the country moving again. Instead, he and David Pfouffe have made the political calculation that they should cave, setting re-election rather than economic growth as their priority. One side is wrong here, not both, and Obama has joined that side. Or at least he is trying to, even as they run farther to the right. Pathetic.